An innovative electromagnetic induction water conditioning device which saves energy and money for you. 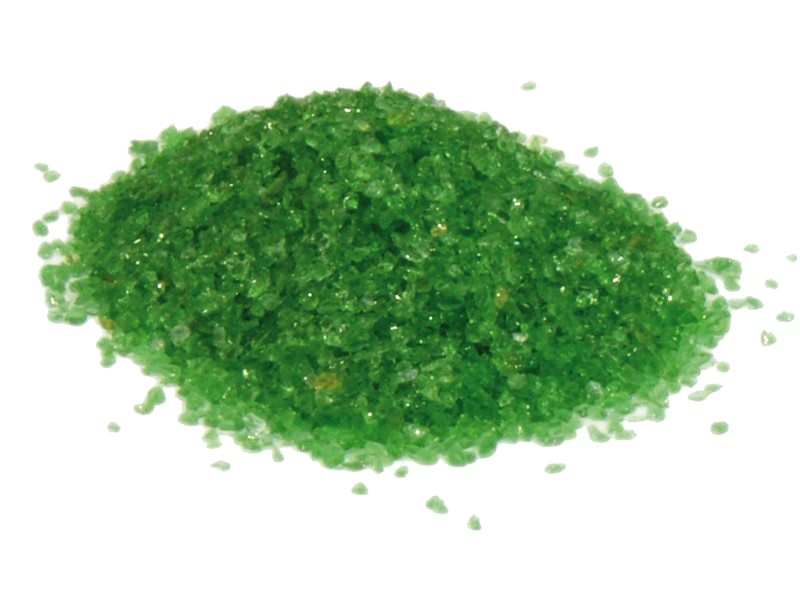 It is used in variety of applications and performs several functions including descaling, bacteria killing, biofilm removal, breakdown of chloramine and algae removal. Dryden Aqua is a Scottish based marine biological company established in 1980 specializing in water quality and innovative treatment technology. The unique knowledge combination and detailed understanding of the biological as well as the physio-chemical reactions has enabled Dryden Aqua to develop a highly innovative range of product systems. 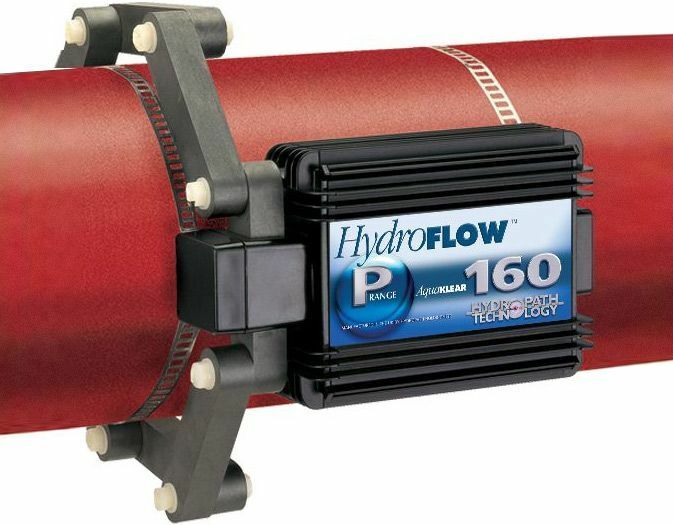 Hydronic balancing is a set of means and methods for making hydronic systems readily controllable so they provide the intended indoor climate at minimum operating cost. It is a solution by which piece of mind can be awarded to all persons involved in a project. For the design consultant, Hydronic Balancing is an inexpensive insurance policy against loss of professional reputation. For the operations staff, it is a potent prescription for trouble-free operation and ease of maintenance. For the property owner, it is a long-term guarantee against excessive operating costs. TA Hydronics specialises in management and control by designing our technology to precisely balance the finite specifics of a system, whilst accurately governing the system as a whole. TA Hydroincs' expertise covers all types of hydronic systems – constant flow and variable flow, static balancing and dynamic balancing. 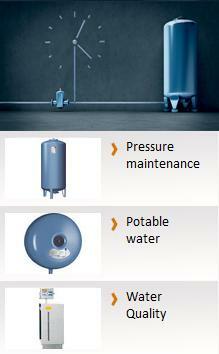 Stable pressure conditions, an excellent water quality - these subjects define Pneumtex. Swiss quality is renowned across the world. 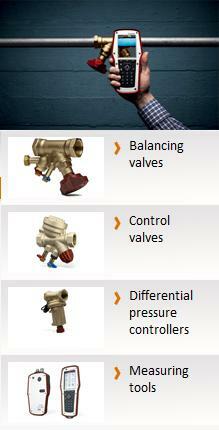 Pneumatex insists on user-friendly products, highest quality, and a comprehensive customer service. Their production sites maintain the Swiss traditions of quality, precision and reliability. Water driven systems are complex installations in which all components must be tuned precisely to each other. This is why the Dynamic Water Management philosophy of Pneumatex aims to ensure a seamless combination of uncompromising product quality, comprehensive know-how, and innovative technology for the benefit of our customers. The Dynamic Water Management philosophy ensures efficient, long-lasting systems with troublefree operation. Reliable pressurisation is the basic requirement for a gentle and trouble-free operation of heating, solar and cooling water systems. Completly sealed, modern systems with Statico, Compresso, Transfero and Pleno are the traditional hallmarks of the Pneumatex pioneers. Studies supported by ASHRAE and statements of a major chiller OEM indicate that oil in refrigerant reduces heat transfer and therefore efficiency. Oil content of 1% (by weight) produces a reduction of 3% efficiency and up to 15% produces a reduction of 40-50% in efficiency. The reduction in efficiency tends to be consistent for different refrigerants. 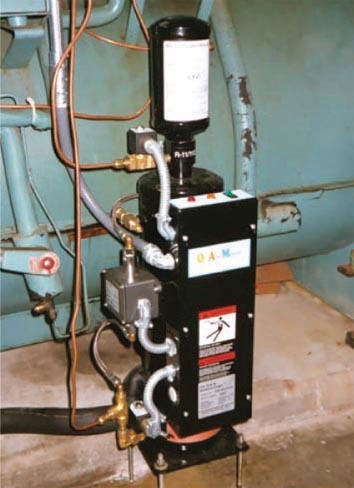 OAM Purger effectively removes oil from refrigerant by means of distillation. Purified refrigerant is returned to the refrigerant path while oil is returned to the oil sump. At the same time acid and mositure are removed by filter and dryer.